October is here and of course, that means that we’re all getting ready for Halloween, but this month is also important for another reason. National Bullying Prevention Month. Kids today are spending more time online than ever before and while the internet gives them instant access to a wealth of knowledge, it also sets the state for cyber bullying. With that in mind, it’s important to teach your kids to be kind online, just as they would in real life, to call out cyber bullying when they see it, and in general, how to be Internet Awesome! This is a sponsored post on behalf of Foward Influence Network. I am being compensated for my time, however, all text and opinions are my own. With the availability of the internet, came the ease of cyber bullying. It takes very little for someone to throw out a mean comment or call someone else a name when they’re behind the safety of their keyboard and don’t have to face the person that they’re talking to. Only 20%-30% of students notify adults about bullying. Let those numbers sink in a bit. Fortunately, Google has designed a fantastic FREE program called Be Internet Awesome that is designed to teach kids the fundamentals of digital citizenship, internet safety, and how to be kind online. You’ll also find Interland, an adventure-packed online game about digital safety and citizenship. Play it with your kids and put your kindness skills to the test! Now, Google’s program covers a lot of information, but one of the easiest ones for kids to learn is that it’s cool to be kind! 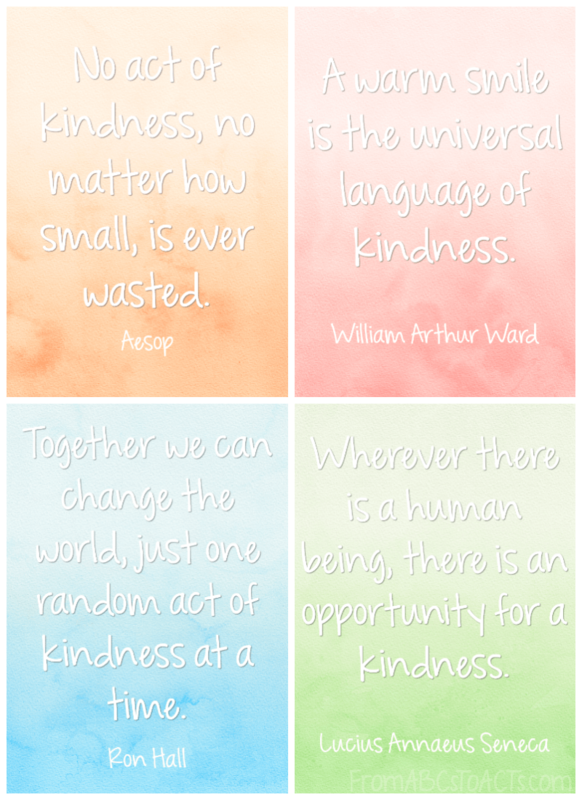 Kindness costs you nothing and can literally turn another person’s day around so we’ve created these kindness quote printables that you can hang in your home or your classroom to remind you and your kids that kindness is always the answer. Of course, there is plenty that you can do to combat cyber bullying besides just hanging up these quote posters. Once these are up, teach your kids to be an Upstander! An Upstander is someone who fights bad behavior and stands up for kindness and positivity. This is most easily taught by discussing how you treat other people in your own family. Talk to your children about what being positive and kind means to your family, help them understand what positivity looks like and how they can express it online, and most importantly, help them learn to identify situations where it’s better to wait to communicate face-to-face with someone and when to ask an adult for help. Reporting the harassment. Tell someone who can help, like a parent, teacher, or another adult. These simple steps are a great way to get started teaching your kids to combat online bullying and can help them be more kind, considerate, and positive citizens! Learn more about how to Be Internet Awesome and tell your kids’ teachers about the online curriculum as well so that they can incorporate these activities into their classrooms.